Are You Losing Weight or Body Fat? Everyone has an opinion about weight loss, after all, the industry is inundated with articles providing the top tips to lose weight or the best diet to shed pounds, and quickly! In the fitness space, there is a lot of great information and equally as good personal trainers, but then, there is also information and people who seemed to have totally missed the point! So, the next natural question is, are weight-loss and fat loss interchangeable? Let’s explore the differences a little more in-depth. 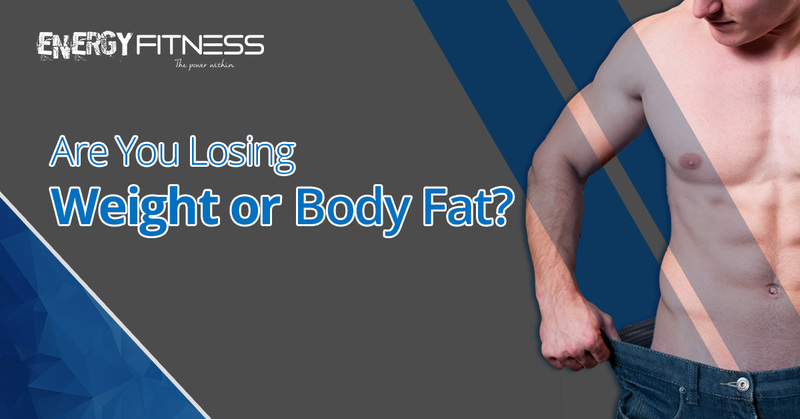 What is body fat loss? Weight loss can be attributed to the weight reduction that includes your muscles, bones, body fat, and organs. So, is there an issue with wanting to lose weight? When people want to lose weight, they generally mean they want to lose fat, because it’s the extra fat we carry that we ultimately want to lose. The only people who are typically looking for actual weight loss are athletes — those sports where people need to make a certain weight bracket — before a competition. So, ditch the scale and focus on fat loss instead of weight loss! Because your body weight fluctuates daily, weight loss is unreliable. You could be dehydrated and weight five pounds less than the day before, but you’re still carrying around all of your fat. Weight loss and fat loss look completely different in people who are the same height and same weight. If you compare two people who are the same height and weight, but one has a much lower body fat percentage, you’ll easily be able to tell the aesthetic differences. The best way to gain muscle and lose fat is through weight training with one of our personal trainers and eating a healthy diet. So, if you’re ready to commit to fat loss, call today for more information!